01 - Meltham A* (WRL2) v V Yeadon (26/11); 8pp; 50p; . 02 - Burton Alb (NC) v Kidd Harr (26/11); £2.00; 48pp; . 03 - Bishop's C (HP) v N Abbott (FAV2) (19/11); 24pp; £1.00; . 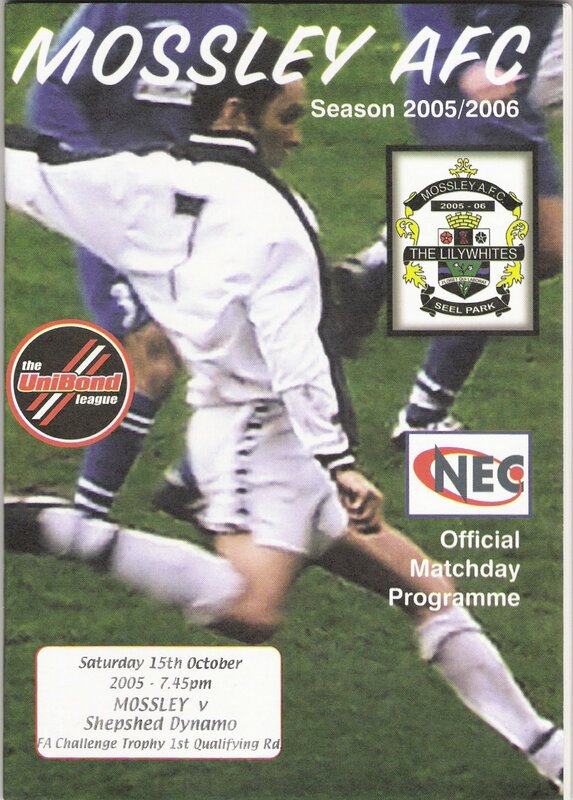 04 - Fulham (Prem) v WHU (17/09); 68pp; £3.00; . 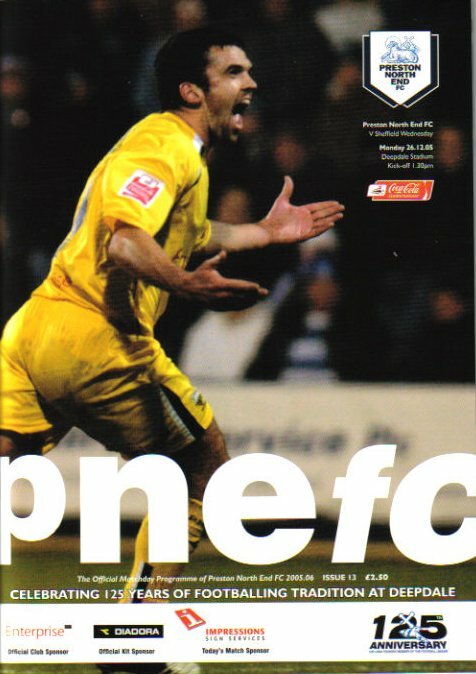 05 - Newcastle Utd (Prem) v WHU; 20/08; 64pp; £3.00; . 06 - Nuneaton Grf# (MCP) v Brocton; 05/11; 40pp; 50p; . 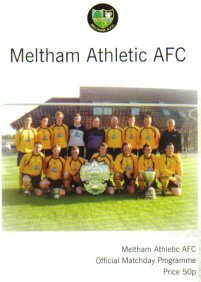 07 - Mossley+ (Unib1) v Shepsh D FAT1Q; 15/10; . 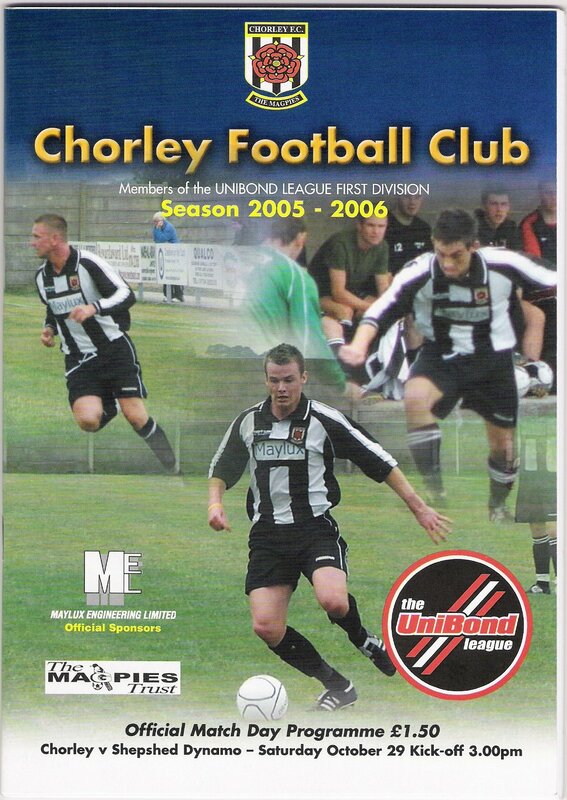 08 - Chorley+ (Unib1) v Sheps D; UL1; 29/10; £1.50; . 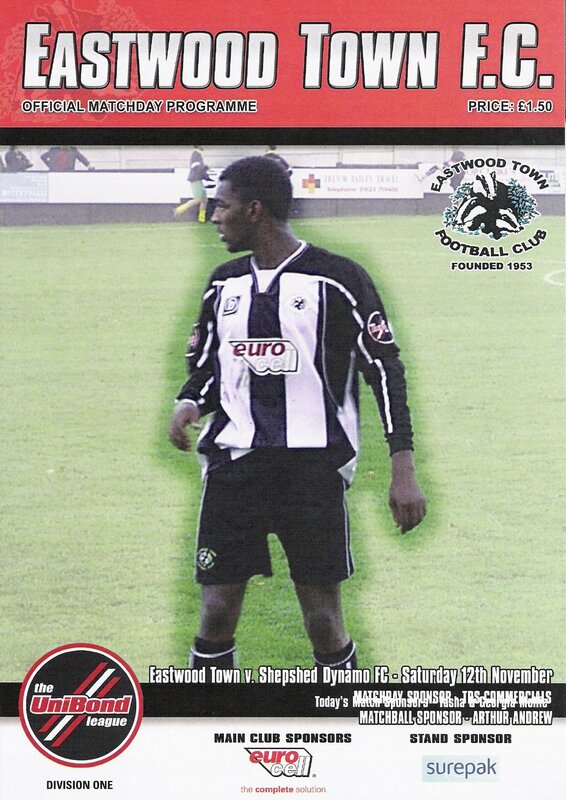 09 - Eastwood T+ (Unibond1) v Sheps D; UL1; 12/11; £1.50 . 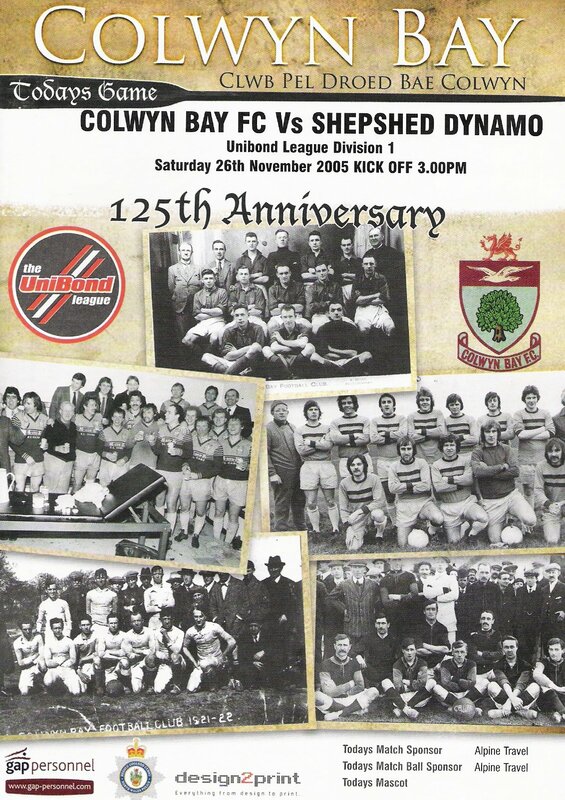 10 - Colwyn Bay+ (Unibond) v Sheps D; UL1; 26/11; pnk; . 11 - Worcester Pk (CCL1) v Sh'ter; CCL1; 03/12; 28pp; £2w/a; 12 - Arundel (SCL1) v VCD Ath (FAV3); 10/12; 24pp; w/a; . 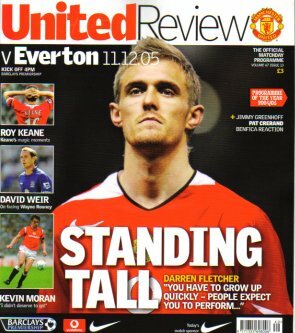 13 - Man Utd* (Prem) v Everton; 11/12; 68pp; . 14 - Hull City* (FC) v Sheff Wed; 10/12; 64pp; . 15 - Langford> (SSML) v St.Marg; 19/11; 36pp; w/a; . 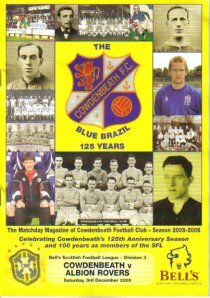 16 - Cowdenbeath* (SFL3) v Albion Rov; 03/12; 20pp; £1; . 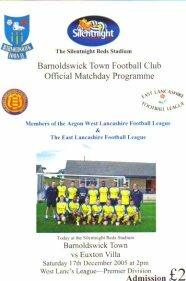 17 - Barnolds'ck T* (WLP) v Eux V; 17/12; 8pp; £2 w/a; . 18 - Preston NE* (FC) v Sheff W; 26/12; 68pp; £2.50; .